There is a special place in my heart, and the hearts of many Jalops, for Datsun. 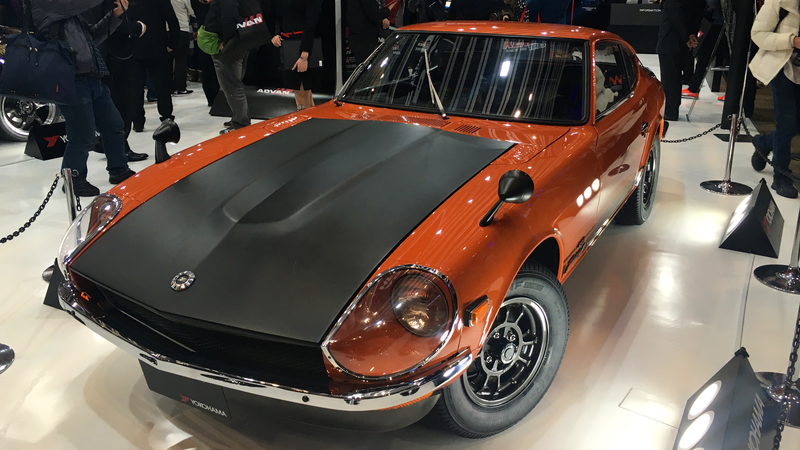 Back in summer, Jalopnik East spoke to the curator of the Nissan Engine Museum, Maeda Hiromasa (前田博正), about the return of Datsun to India, and its legacy in North America. The love of Datsun is clear in these couple of examples at TAS 2017. Those that are regular readers may know that there is a great deal of University of Texas at Austin heritage in the Jalopnik staff, and therefore some of us are partial to burnt orange. Burnt orange on a classic Datsun? Just can’t be beat. Imagine rolling up to the tailgate across from the Blanton Museum and Texas State History Museum some fine, crisp October day in this. Datsun has design language that will never die, and we are all the better for it.